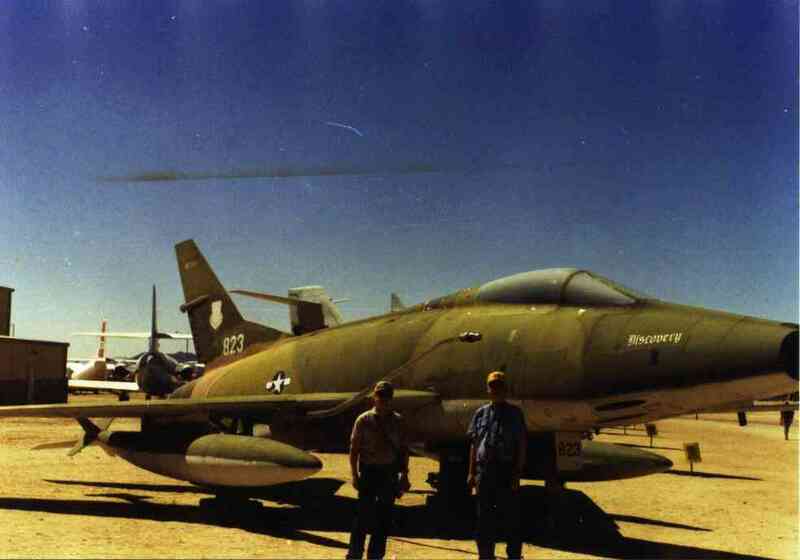 CAP data 4026N 10553W 30JAN67,F100,SEE*,*AG542015/CIRRUS PK/EMPENNAGE,13. UTM 0422126, 4476509 in UTM . 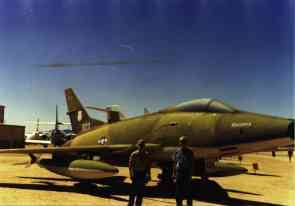 F-100 at Pima Museum. Visited personally. There are parts all over the rockslide to the right. I left this flag on my first visit. The wreck cause: Flight into terrain hidden in clouds while barrel rolling around lead ship in flight of 2. Casualties: Lt. Eldon C. Hart, Jr of Rexburg, ID. Site Description:. Rudder, elevators, wheel with tire assembly, misc flaps, engine core most visible parts. Cruciform fins for fuel tank, drogue chute, 20 mm gun, struts etc., also there. Dark colored rockslide with bright aluminum bits is visible 2.5 mi away from Baker Pass trail near TH. (Not really on the terrain feature labeled Hart ridge. )Impact on ridge to NE. Best route : Hike from Baker Pass Trailhead at the top of Jack Creek. 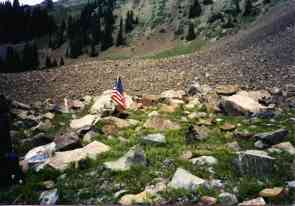 Hike east then north along timberline on the cairn-marked trail to the site. A fast hiker should make this in about 2.5 hrs. Note: In order to see all the photos, you'll have to download both pages.